“We mourn his passing, and we pray that his successor on the Supreme Court will take his place as a champion for the written Constitution and the Rule of Law.” These words from Texas Governor Greg Abbott say much about the late Justice Antonin Scalia and his conservative dominance on the bench he made his own from 1986. The Constitution, treated as a substitute divinity, provided the late justice with a range of rationales for his judgments. What was, then, the primary importance of Scalia? Not so in the case of Roper, where a divided bench considered that the Constitution prohibits the execution of juveniles. Scalia thereby saw himself taking the barometric readings of a moral state of affairs – and it was specifically American and exceptioanlist. In taking this view on the “evolving standards of decency”, the Court “thus proclaims itself sole arbiter of our Nation’s moral standards – and in the course of discharging that awesome responsibility purports to take guidance from the views of foreign courts and legislatures.” Unfortunately, someone was going to be doing the judging, whatever the outcome. Such a stance invariably came with its hazards, rendering a powerful arm of government less scrutinising than it might be. A Court’s balancing act might invariably cancel out certain decisions of the executive. Justice Scalia would treat carefully on that score. 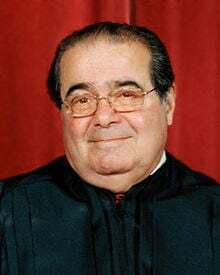 That said, Scalia was not necessarily hostile to the Fourth Amendment guarding against unreasonable searches and seizures, and the insurance of a search warrant based on probable cause. Given the rampant nature of the surveillance state, the decisions of Kyllo v Unied States (2001) and United States v Jones (2012) still rank as important considerations on intrusive technology. Unfortunately, the post-Snowden questions on the legitimacy of dragnet surveillance conducted by the National Security Agency remain unanswered in the United States’ highest forum, leaving Justice Scalia’s successor a complicated, and challenging legacy. Perhaps fittingly, Scalia has left a traumatic and speculative maelstrom in his wake, a polarising blast that has affected the entire GOP concerned that the Supreme Court is slipping out of its hands. President Barack Obama is expected to sit idle, allowing the Court to operate with eight justices. “We owe it to him and the Nation,” claimed Ted Cruz, “for the Senate to ensure that the next President names his replacement.” Hamilton’s notion of a limited judge, indeed!